At Moo Barn in Tregony Pets are Welcome - Dog friendly establishment. 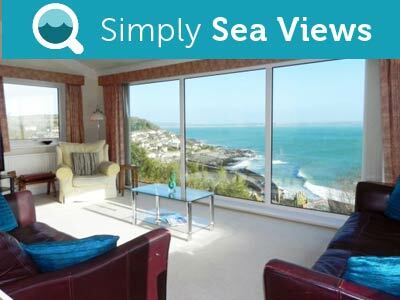 based in Porthleven Self-catering Holiday rental with Sea Views. 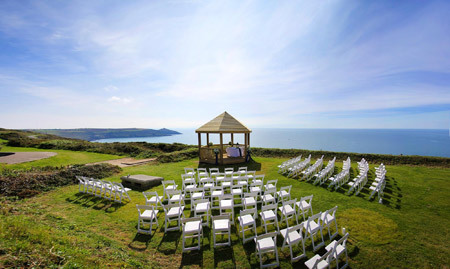 At Simply Sea Views in based in Porthleven Pets are Welcome - Dog friendly establishment. Mevagissey Holidays in a Fully renovated Grade 2 listed Georgian townhouse in Mevagissey, situated 200 meters from the harbour. 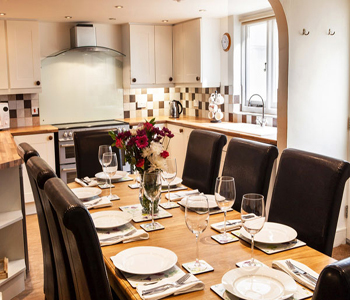 Courtyard Cottage offers flexible, spacious holiday accommodation over 3 floors. 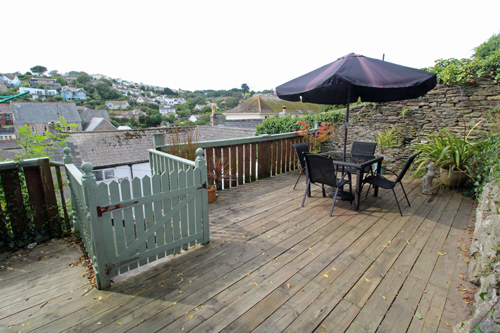 Comfortably sleeping 8, this well equipped cottage is perfectly located within Mevagissey, providing an ideal base for exploring the area. 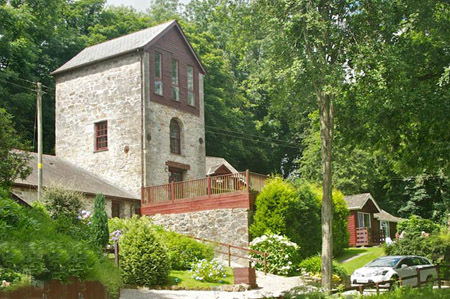 Free Wi-Fi, electricity, towels and linen included. 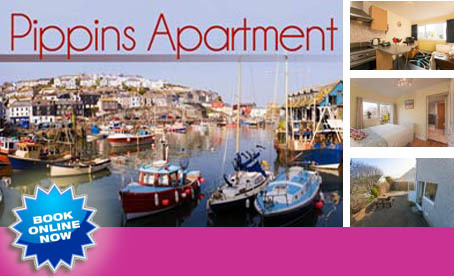 Self-catering accommodation in an attractive one bedroom self-contained ground floor flat just a few minutes stroll to Mevagisseys picturesque harbour and its wide range of pubs shops and restaurants. 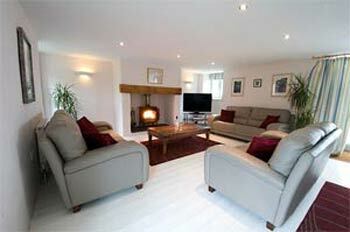 The accommodation has its own off-road parking space and offers an attractive patio and garden. 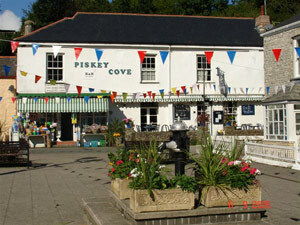 Piskey Cove is a friendly family business run by Gill and Alison Avery. 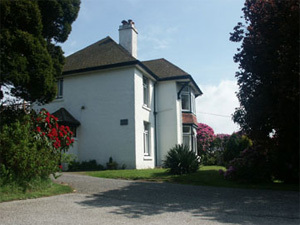 All the rooms are en-suite, have a colour TV, along with tea and coffee making facilities. The back half of Piskey Cove is over 300 years old and the relatively modern front is 175 years old (we did say relatively modern). 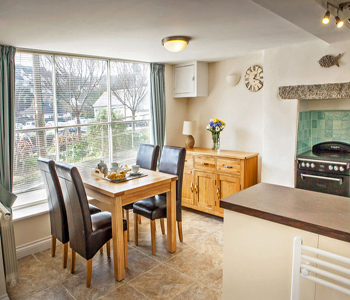 Self-catering Holiday Caravan accommodation in St Austell. Holidays in St Austell with the benefit of an onsite swimming pool - to help you enjoy your Holiday in Cornwall. This family-run park is friendly,comfortable and exquisitely maintained, and whether you choose to stay in one of the parks luxurious modern caravans Sun Valley is perfectly positioned for exploring the sandy beaches, quiet coves and historic harbours which abound on Cornwalls gentle south coast. 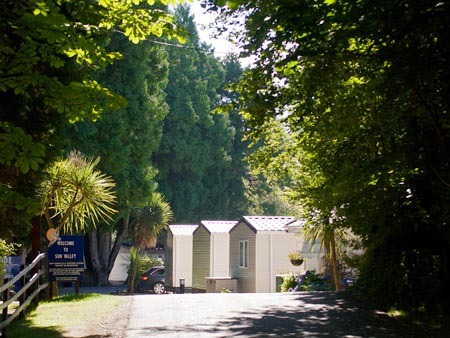 At Sun Valley Holiday Park in St Austell Pets are Welcome - Dog friendly establishment. 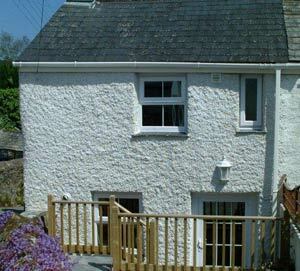 Gorran Haven Self-catering Holiday rental with Sea Views. 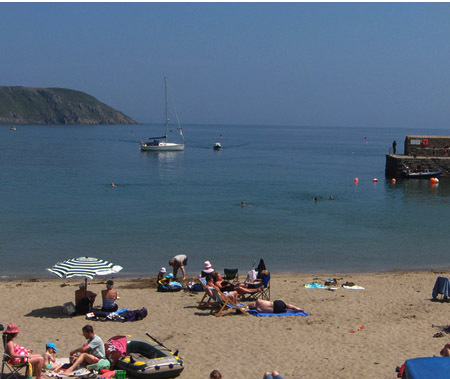 Attractive properties all within a very short walk of Gorran Haven beach, all child friendly, all recently furnished and decorated. Everything from beach towels to babysitters. 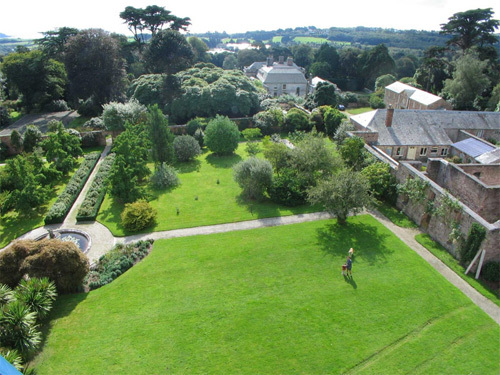 A real paradise Tregrehan Gardens is a stunning estate and one of the Great Gardens of Cornwall,. 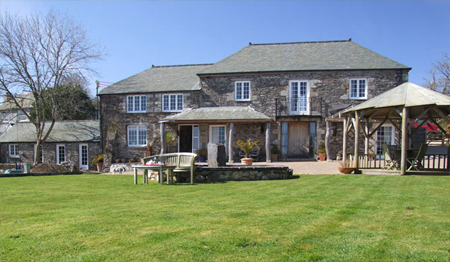 Home of the Carlyon family since 1565, the holiday cottages are ideally located between Fower and Charlestown, one mile from the beach and ,� mile from The Eden Project. 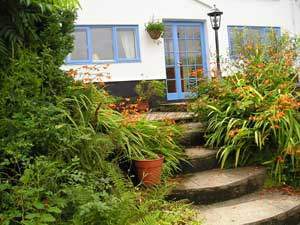 At Tregrehan Garden Cottages in St Austell Pets are Welcome - Dog friendly establishment. At St Margarets Park in St Austell Pets are Welcome - Dog friendly establishment. The Shepherd's Hut is lovely for a romantic holiday or for a lone person just taking time away. It is comfortable in winter and summer. The lovely curved wooden deck with a rope balustrade overlooks a large lawned garden with a wide panoramic view of the bay. The cliff-scape and rocky headland to the east is dramatic an uplifting. A view you would willingly walk miles of cliff path to see, visible easily and constantly from your deck - or even, your bed. A spacious family home, built in the early 1930s, in the heart of St Austell, set in a large secluded garden. Breakfast is served in the light and airy dining room, where you can enjoy a full English breakfast. Located a couple of hundred yards away from the coach and railway station.